Let a Miricle begin. Make a difference in the life of someone else...do it today. The orphans and volunteers at LTMI orphanage proudly display their new Polo shirts with the LTMI logo on them. 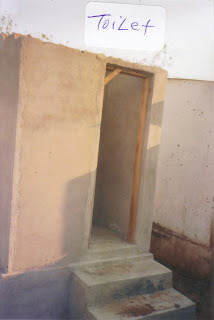 Toilets at the LTMI Orphanage are not like ours here in the USA. They are holes in the ground surrounded by brick walls and covered with a building for privacy. 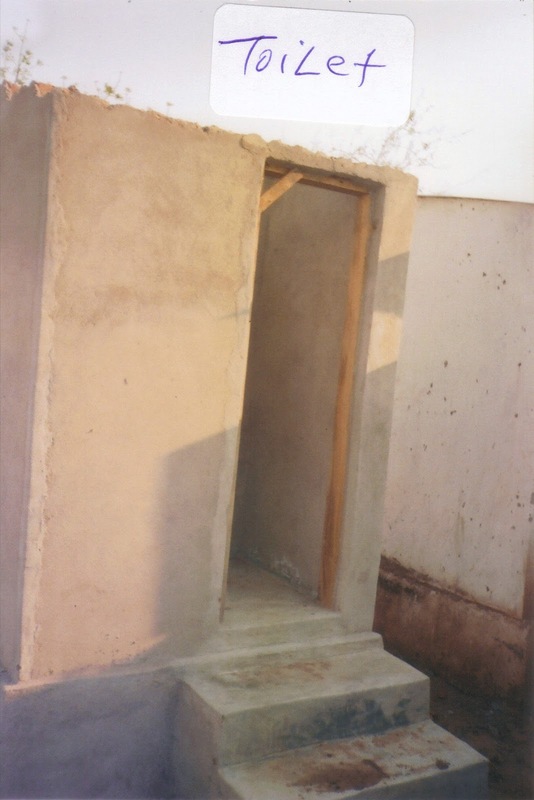 This is our newest toilet (chimbudzi) which replaced one that was no longer useable. This is Jennifer Lino (Jenifa) in 2004. What a change. 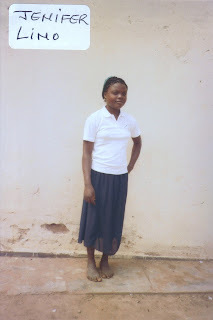 Jenifa already has a sponsor, but we have other children just as precious. This is Jenifer (Jenifa) Lino. She has been part of the family at Lamb Tracks Ophanage for many years. Her beautiful smile has adorned the campus since her arrival. Check back to see a photo of Jenifer as she looked when she first arrived at Lamb Tracks Orphanage. Without You, where would we be? 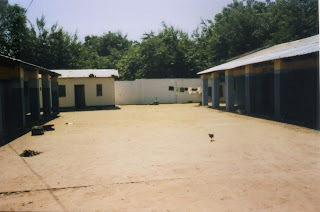 LTMI Orphanage, looking into the courtyard with both dorm fronts shown. You can feed these people. 100% of your gift goes to the need. We serve the needs of the people of Malawi through an orphanage and food programs. The orphanage was built by and for our organization. It currently provides a home, food, education and health care for 70 children between the ages of 3 and 21 years. L.A.M.B. TRACKS MINISTRY WHO ARE WE? Have you ever wondered what magnificent potential may lie latent within you? L.A.M.B.TRACKS Ministry International “Let. A. Miracle. Begin.” Is one of those miracles that defies understanding. One never knows how long their arms can stretch across the world to change the lives of others, but that’s exactly the miracle LTMI was founded upon. Through the daring step to broadcast a message of hope to over 400 million listeners a week in Africa, the cries and voices of a small impoverished country called Malawi was heard. And so it begins. Those voices turned into faces, which in turn became a journey into the lives of thousands of people who were not just a picture on the front of a magazine. Their plight became a flight into their back yards, embracing their need which was not just a want or an addition to the eclectic variety of items we hold dear here. We began by sending funds for food answering the calls of several men who were the heads of communities and villages. Their cry for food was distinct and our bulging anatomy here in America became a mirror of over indulgence. So in our efforts to supply just simple sustenance we began a food distribution to villages where those needs were greatest. The next cry was for our presence to be visible which took us via an airplane, very long airplane ride to a strange country where we only knew voices we spoke with over the phone, fax and letters. We were greeted by about 30 longing and cheering faces who swept us up into a mini-bus and began driving us to villages where we were greeted with smiles, dance, and the sound of drums welcoming us into their hearts, homes and lives with an exuberance that even missionaries living there, we had made contact with, were amazed. The limitation we feel can be the reflection of how others view us or how we view ourselves, but with God all things are possible and we found the limitations were what we had put on ourselves rather than the use of this incredible being created to be more than we could imagine. While LTMI had been in the USA since 1964, it was 1998 when God began this journey expanding our vision of mercy to others beyond our doors, our walls and our borders into an expanse of immense proportion. Before our feet had ever stepped on the dusty soil of this marvelous country we had found the need to feed the hungry. We had served the cries through 4 men who would become our Board of Directors in Malawi. Each holding incredible stories of helping the people of Malawi with whatever portions they had. 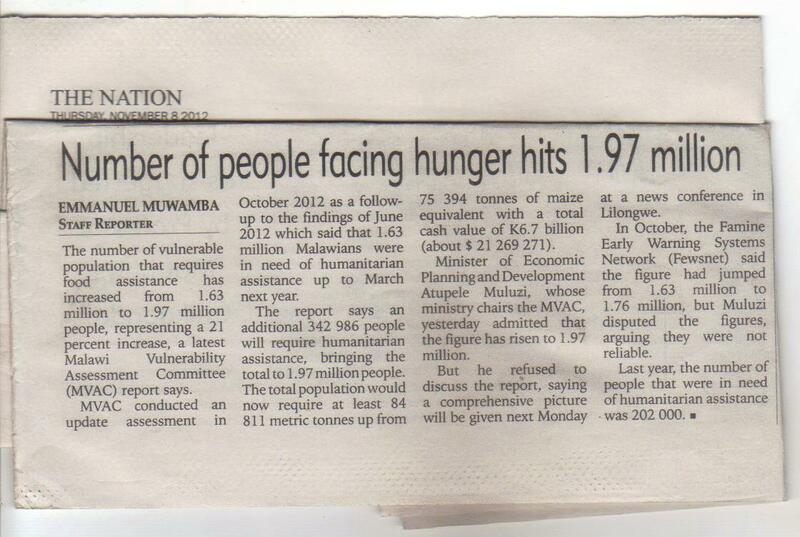 Suleman, Felleson, Samuel and Mpire were to become the thread that would weave our lives into the people of Malawi. We began by utilizing what was available to us there rather than trying to ship food which is out of reach for us. The amazing thing about this story is we thought these men knew each other but in fact were from one point to another about 200 miles apart. Together these men represent about 450 villages we began to feed and minister a message of hope, hope with a face, legs and manifested manna. Words are great but they are hard to chew on. They may nourish the soul but the tummy still growls. Many of these people lose everything every year due to rain and draught. They plant their crops faithfully, working and tilling that land only to find the heat, wind, rain and draught confiscating all their efforts leaving them hungry starving with death and homeless children wandering the land trying to find a morsel of food and a shelter for their heads. We feed somewhere in the range of 100,000 people each year in Malawi through the kindness and heartfelt giving of those here who help those there! It is worthy to note that this organization is 100% volunteer. No one is employed nor receives a fee for the giving of themselves or their funds, including yours truly, the President and Founder of LTMI. This way we are able to multiply the giving a hundred fold taking those gifts for the reason it was given. Can you imagine how you would feel if you had no food and became sick knowing you were about to die and the embrace of the tiny hands of your child held you in their arms pleading for you not to leave them alone? This is the all too familiar picture of the results of disease, and starvation that visits every village leaving thousands of children homeless, foodless, and trying to make it on their own. When we came to Malawi for our first time we met hundred of orphans being taken into the homes of our men and village chiefs, ministers, families who ever would take them. One such dear man had 60 orphans living with him in his hut surrounding the tiny residence with mats circling like a ring of tiny people finding a place to rest inside and out. 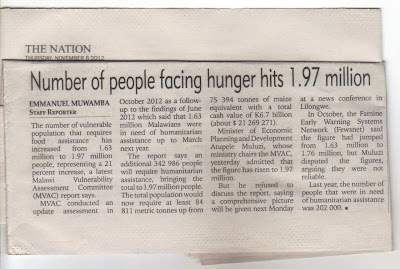 However, the ability to feed this many with what little they have to provide is a challenge. Some will find work at one dollar a day and try to share this tip of an income to supply maize to feed those children. Needless to say, while the food distribution and reading materials we had sent were of help, now the need to have a home for orphans became a vital target. In the past 10 years we have housed, fed, educated and found medical care for hundreds of children in the southern part of Malawi called Nchalo. To meet their needs we began building an orphanage with two dorm buildings each have three large rooms to house the children with beds, blankets, shelter and clothes. There is a house for the guardian who lives there 24/7 with the children. Recently our guardian succumbed to death and now we are searching for a new guardian. Nine women volunteer during the day, cook and wash and watch over the children. We supply food for them as our way of appreciation. Each year we supply clothing for them and from time to time a gift for them to purchase maize for their families. Jackson is an educated man who volunteers his time to teach the children along with the schooling we supply through fees enabling them to attend. High school age children have to pay a fee so for an orphan this is out of reach as it is for most villagers. Our children do attend local schools provided by the giving of supporters and sponsors of our children. Only 30-35 dollars a month enables us to provide these benefits to a child to give them live hope and a future. The stories are amazing. Isn’t that amazing how so little does so much? Teresa and Frank were two very young children about 3 and 6 when their parents passed away one night in their hut. They were found dying of starvation by our team who were told that in Mozambique two children had tried to survive on their own with the help of the starving village but could do no more. Felleson and his team went to the home to validate the story and found the two wee ones lying there in desperate need. 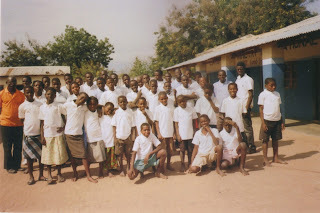 They were brought to our LTMI orphanage and now live there in wholeness and health. No more carrying buckets of water 2 hours each way to a river for ten cents to find money for food. They have a home and a family now, safe and secure. Only one child since the opening of the orphanage has passed. Zili was only 6 when malaria took his life so quickly that even a rush to a hospital could not save his life. There’s a brain malaria that is deadly yet death is not a stranger to these people of survival who embrace often as many as 5 funerals a day to bury their loved ones. Thus with the help of others we can make a difference bringing miracles that could never have been imagined. We touch lives no one else is touching. A well for water, toilets, kitchen for the women to cook, a home for a guardian, an 8 foot wall circling the campus close to the size of a football field is now home to 70 orphans with more waiting to come and make it their home, if just more people could catch the vision of being a miracle for one of these dear children. Just when you think you have touched the needs another cry comes forth. So you see when we set limitation of our potential we put a cap on a half filled bottle. Through the vision and passion of these four men we found that the heart to orphans and children without means was a challenged fulfilled. Samuel now has taken that energy, a young man who only turned 30 this past Nov. to build for us two secondary schools for orphans and a college so that young people can have options beyond the orphanage. Mpirie has worked in rice fields along with his dear wife Anne to supply the needs of orphans in Balaka Malawi where we educate 40 students of high school age along with 4 buildings to provide class rooms. Together with the 3 secondary schools and the college we are now able to educate close to one thousands students providing dorms for the college age students. Now the cry has reached your heart and your eyes, you now have knowledge of a great need where supply is provided but can only grow by you seeing within your heart the unlimited potential that one of these children could be sponsored by your benevolent heart, less than most spend eating out for one meal, a form of entertainment for one event which can become a life time event for one of these children who desperately need a chance at life and you can be the beneficiary of a seed sown on earth reaping a harvest for eternity. Multiply your giving if your company has a matching donations program. LTMI qualifies for most such programs. Copyright 2011 L.A.M.B. Tracks International. Picture Window theme. Theme images by merrymoonmary. Powered by Blogger.